The first public rail in the Hunter Valley started with the government takeover of the Great Northern Railway. Before this development, the only efficient way to get from Maitland and Newcastle to Sydney was by ship. The introduction of government rail in part made up for the lack of good roads in the Hunter Valley. On 17 November 1954, the government's Select Committee on Roads and Railways determined that private companies needed government aid to construct local railways and it was decided that the government should take over these projects. This led to the signing of the Construction of Government Railways Act on 2 December 1854. 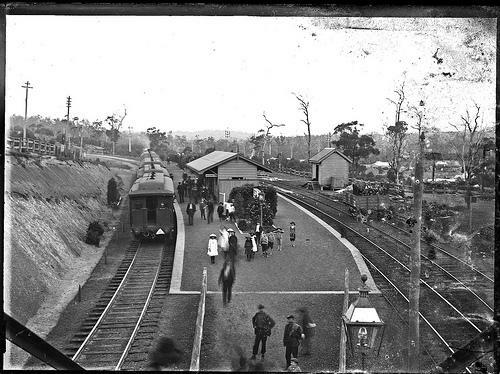 The first public rail in the Hunter Valley, the Maitland to Newcastle line was opened in 1857. It wasn't long before public rail was used to transport coal, with the Newcastle Wallsend Coal Company being the first to use it in 1861. The company provided their own coal wagons, but used the government rails, engines and wharves. There was soon a dispute over the cranes on this wharf, ended by the government taking control of them as well (see loading for more information). McKillop, Robert and David Sheedy. Our Region, Our Railway: The Hunter and the Great Northern Railway 1857-2007. Redfern, NSW: Australian Railway Historical Society, New South Wales Division, 2008. Print.